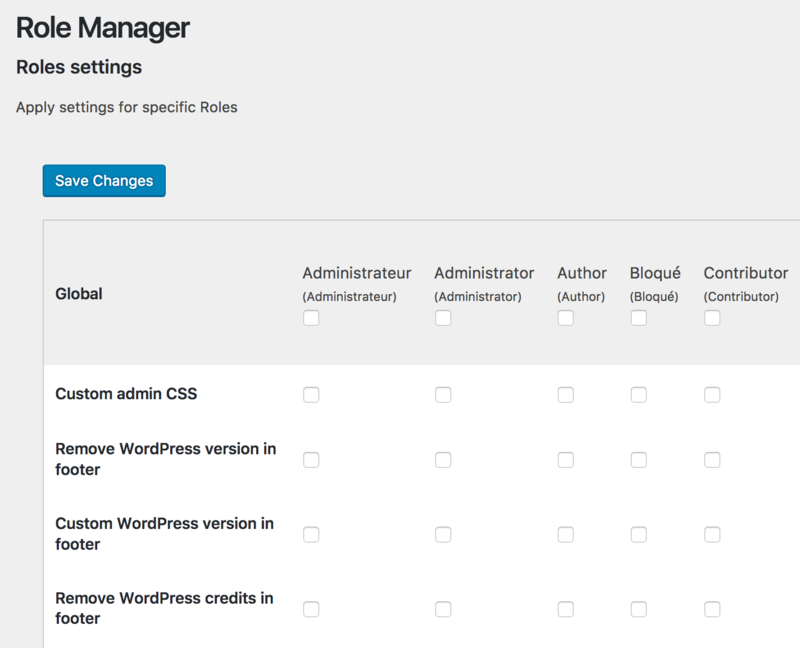 You have checked / configured your different options but do not see any changes apply in your WordPress administration? You probably did not apply the options to one or more user roles. To do this, go to WP Admin UI > Roles. In the table, check the options to be applied according to the user roles. /!\ Be careful when you apply some settings to the administrator role, otherwise you can block access to your administration.